Unai Emery admitted that he did not know whether Mesut Ozil had even attended Arsenal's 4-2 win over Tottenham Hotspur yesterday, as the German midfielder missed out with an apparent back injury. Ozil was not in the Arsenal squad, having missed the trip to Ukraine this week, and it was claimed by Arsenal sources that he had suffered a recurrence of a back spasm. Ozil had missed Arsenal's game at Fulham on October 7 because of a similar complaint. This fresh back spasm had occurred just days after Ozil was left as an unused substitute for the 2-1 win at Bournemouth. Asked repeatedly about Ozil in his post-match press conference at the Emirates, Emery said that Ozil "has back ache" when asked why he could not play. Asked when Ozil suffered this problem, Emery said that he "did not know". Then asked whether Ozil had even attended the game at the Emirates, Emery said he "did not know". Now focus turns to Arsenal's trip to Old Trafford to play Manchester United on Wednesday night and there will be plenty of interest in whether Ozil recovers from this injury in time to play. 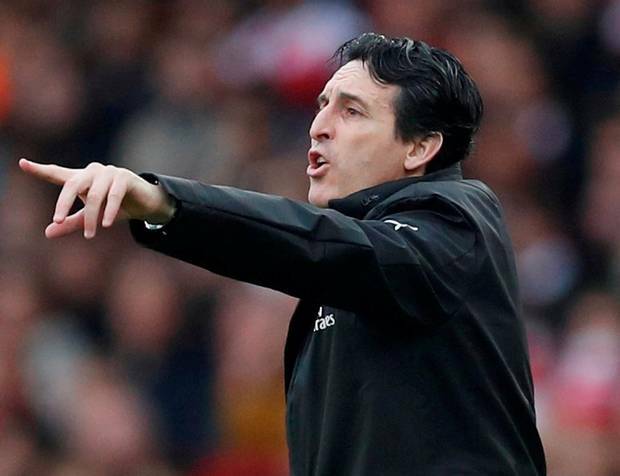 Emery said he wants to move on from this win as soon as possible. "Now we are thinking of the match on Wednesday in Manchester," he said. "We know it will be very difficult in Manchester, because of their history and their present, we are going to prepare in the best way possible, to have the best performance against them. It will be difficult, a big challenge for us."